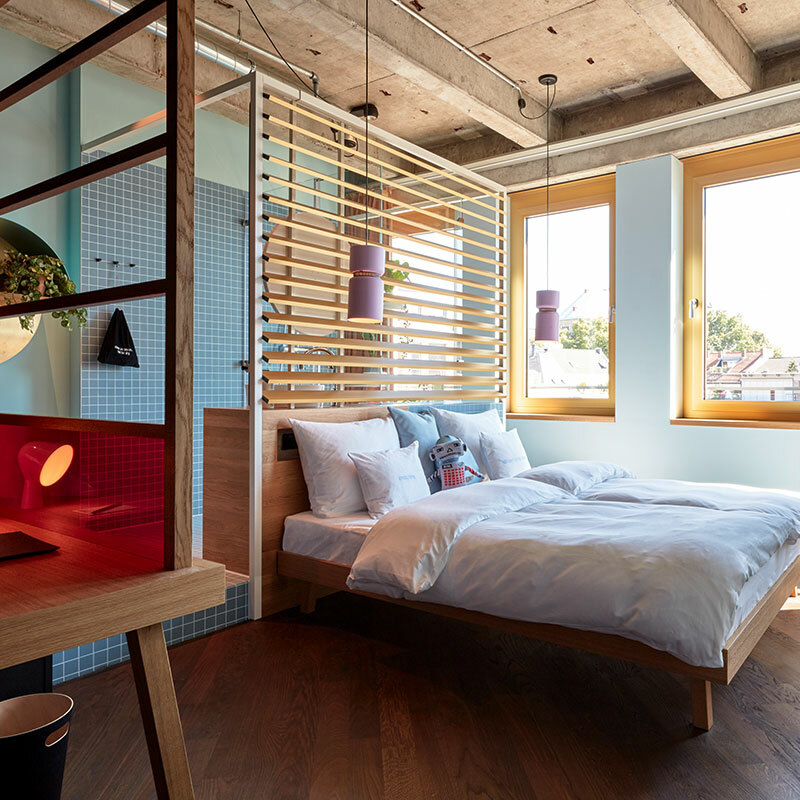 We’re old enough to remember when the “design hotels” in Germany were among the most conservative in the world, all tasteful seriousness and aloof minimalism. 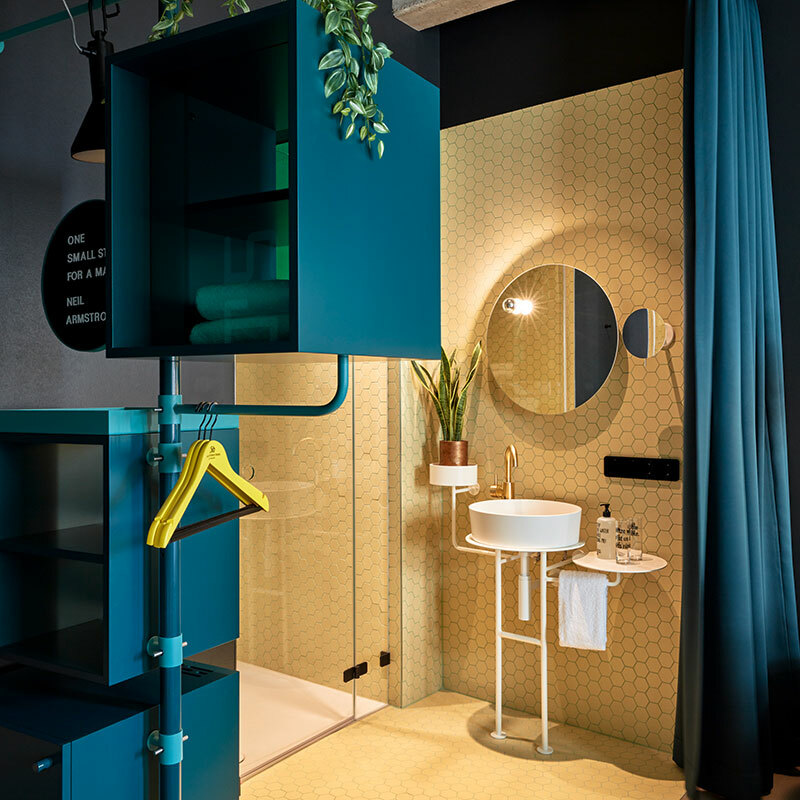 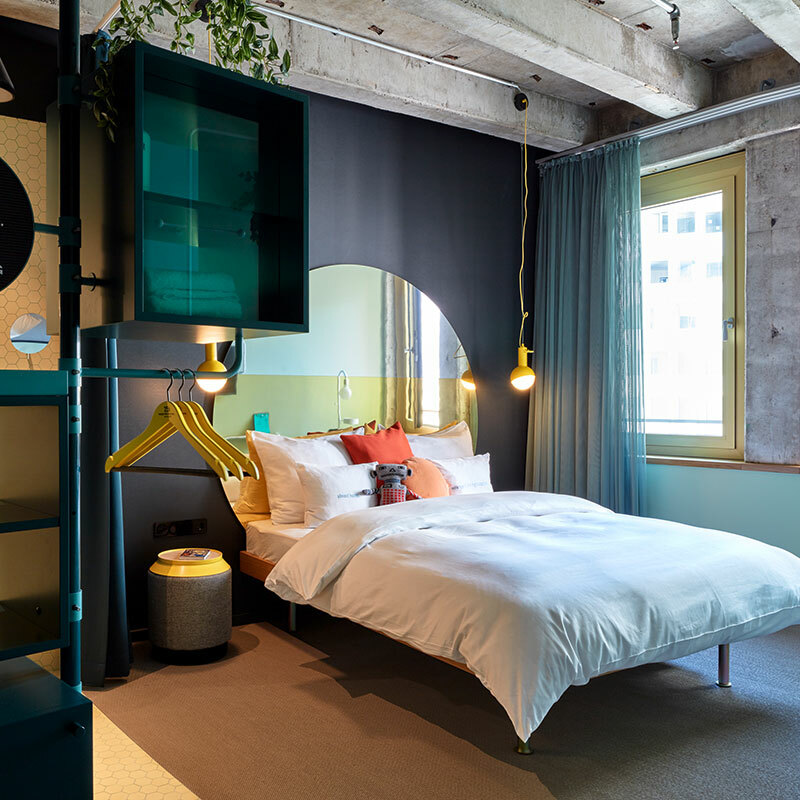 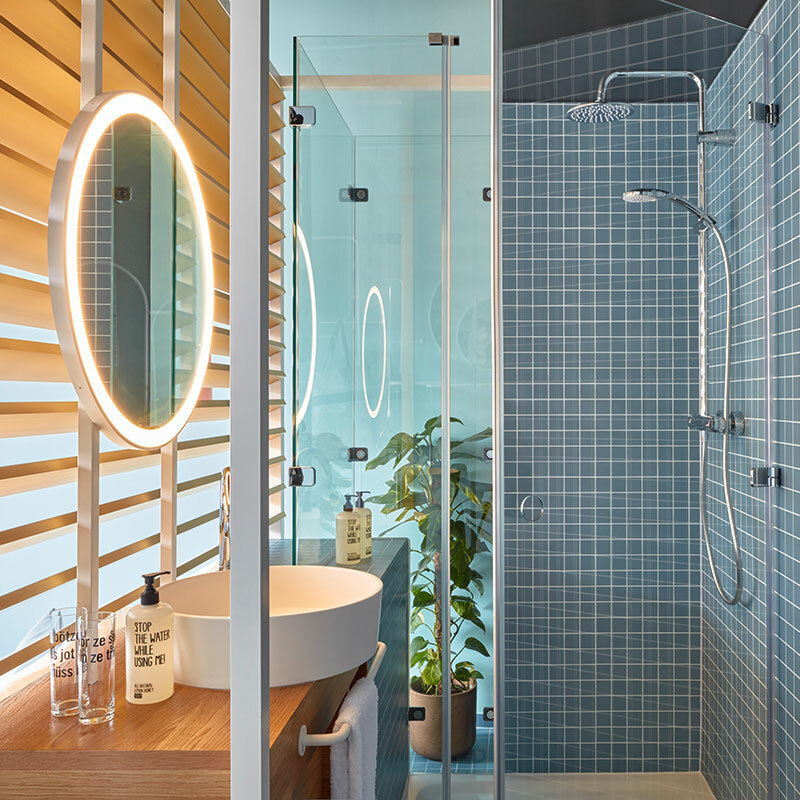 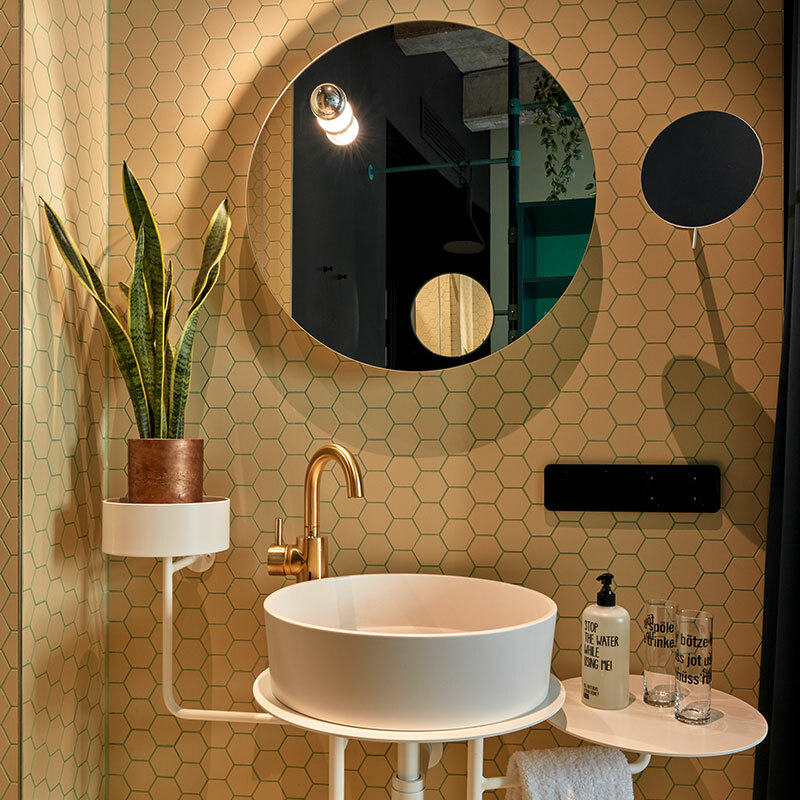 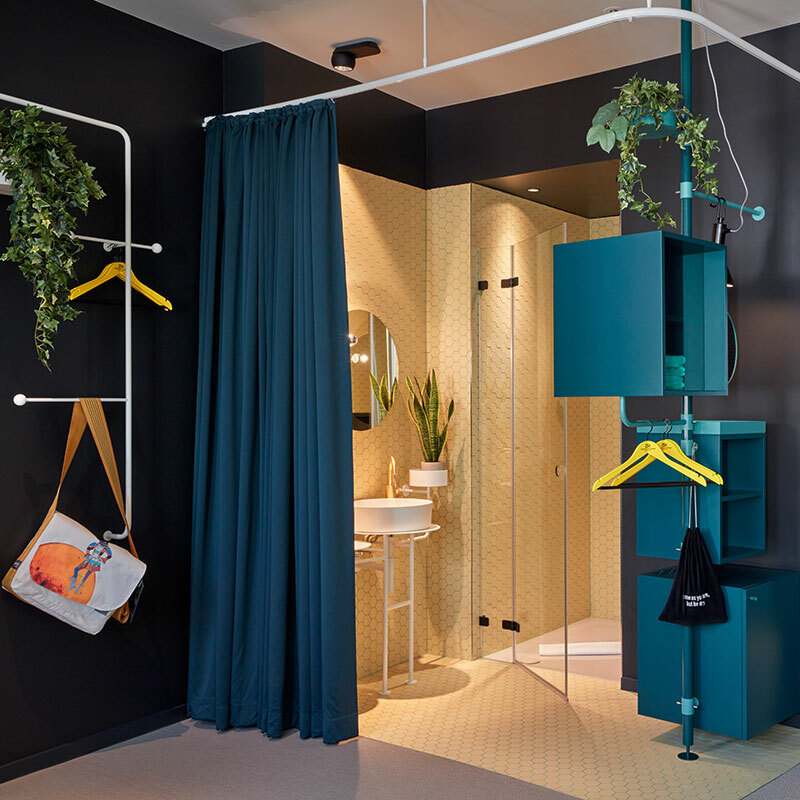 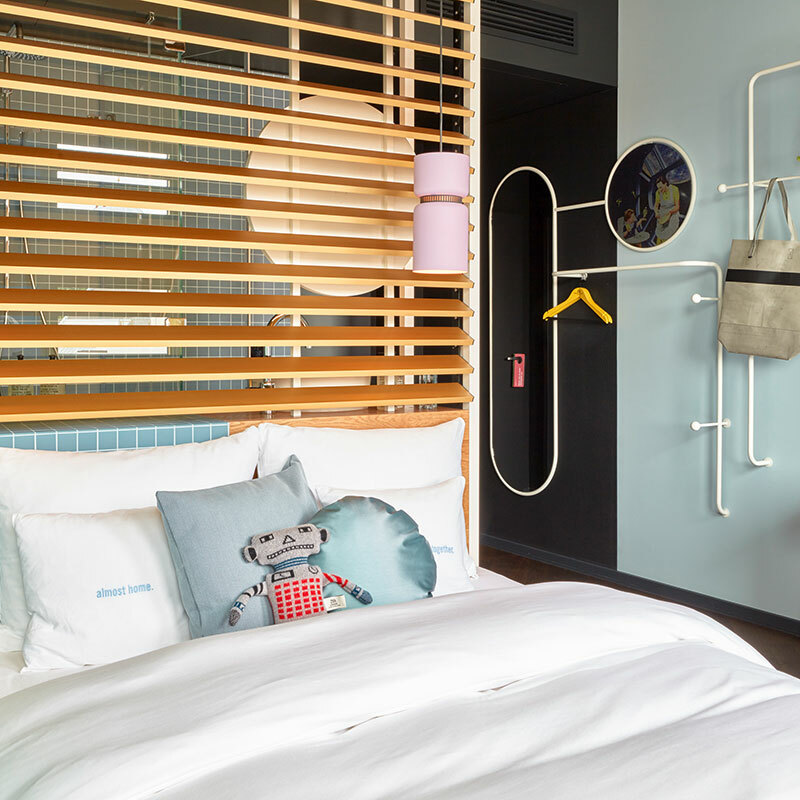 That, of course, was before the 25hours era began — this homegrown boutique-hotel chain has brought new life and plentiful personality to the hospitality world in Germany and beyond. 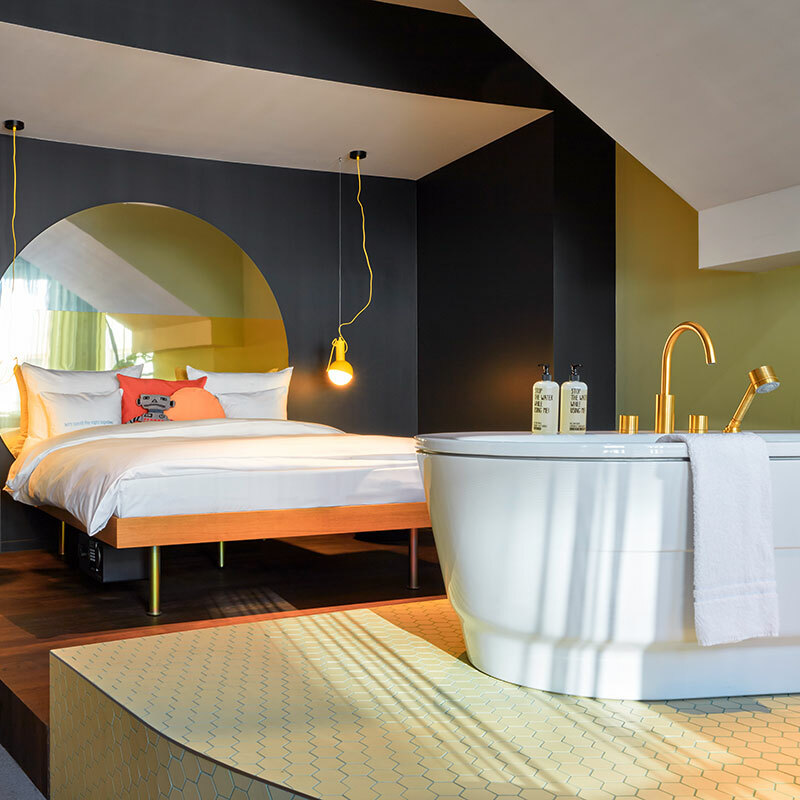 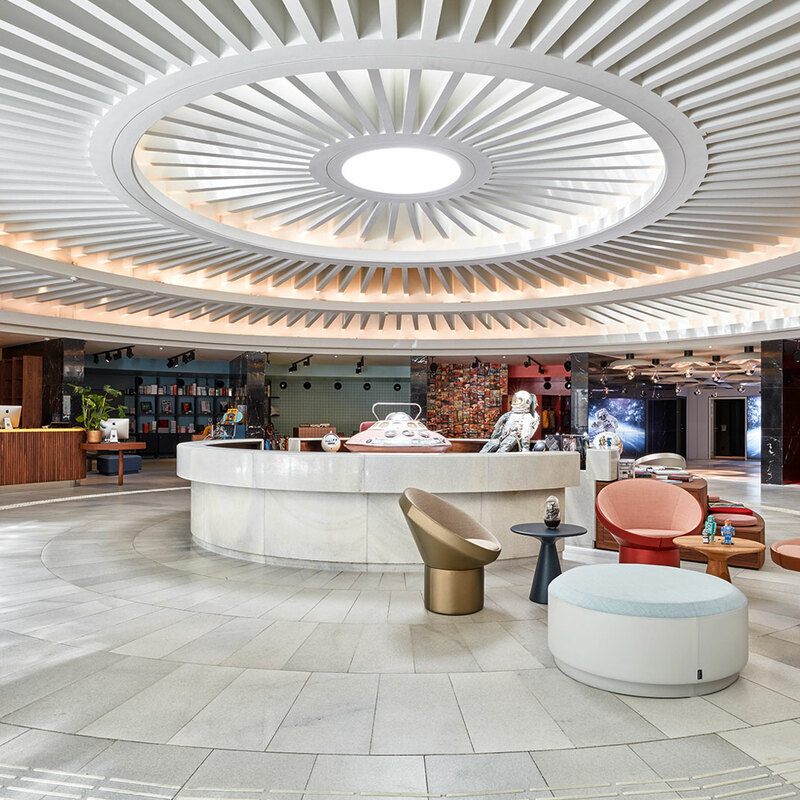 Now they’ve arrived in Cologne, with 25hours Hotel The Circle, an audacious redevelopment of a landmark building whose rotunda gives the Circle its name. 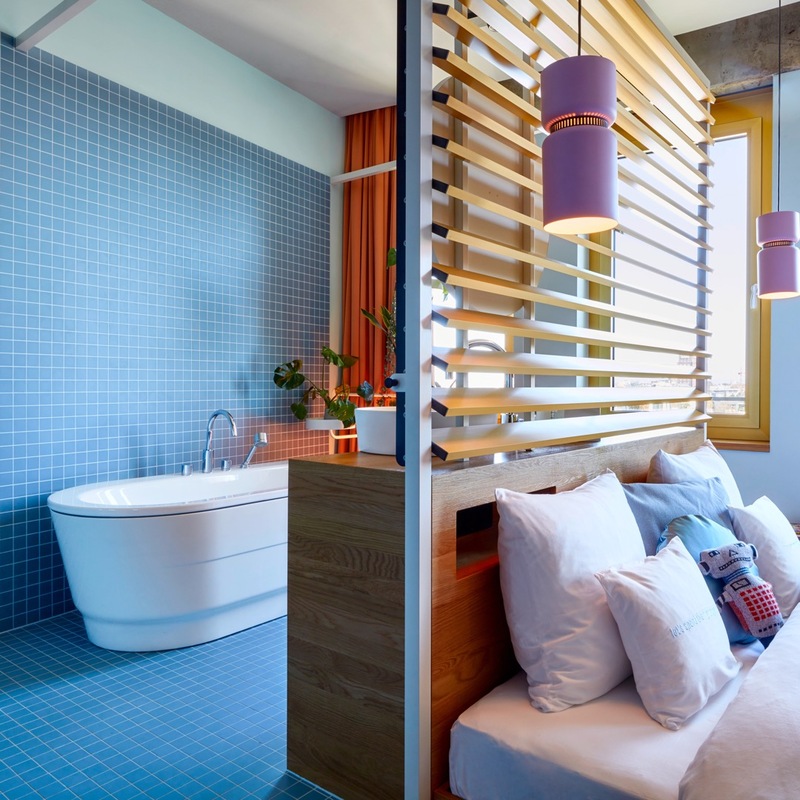 The vibe is retro-futuristic, in the classic late-modernist West German utopian style, full of pastel colors and rounded forms, designed by Werner Aisslinger to pay tribute to a bygone era and to please the contemporary traveler’s eye. 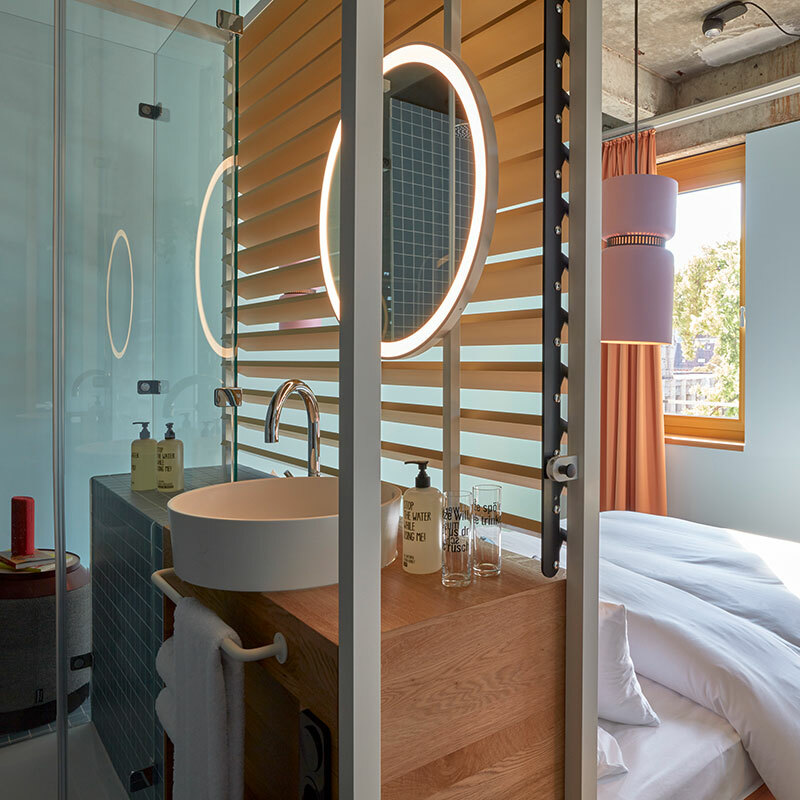 Rooms span from Medium to Gigantic, and even at the small end come with rain showers, Bluetooth speakers, and smart televisions. 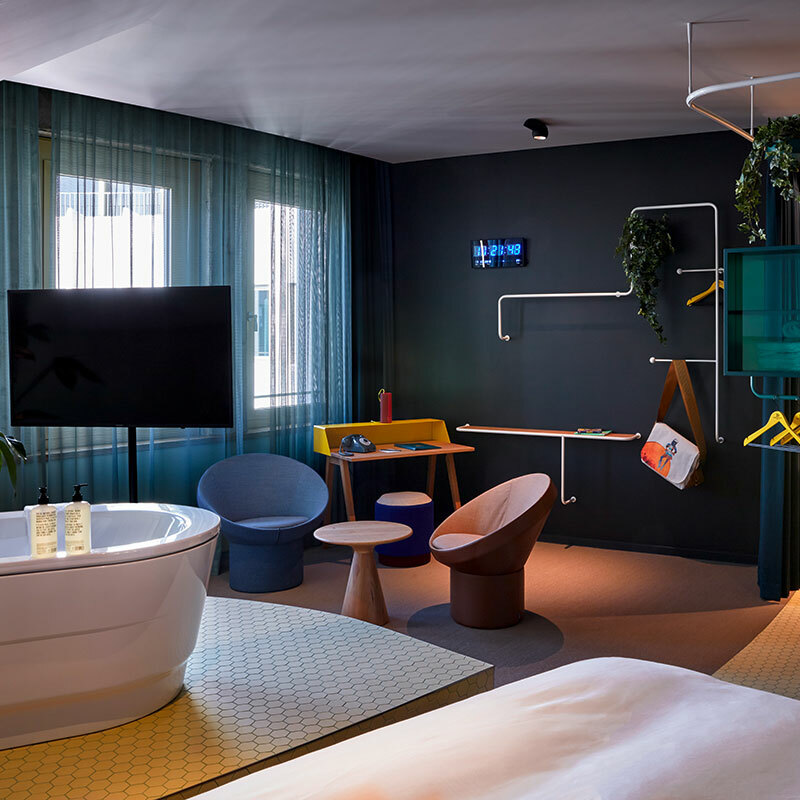 As with all 25hours hotels, there’s an emphasis on social spaces, from the top-floor Monkey Bar to the restaurant, Neni, both with panoramic views that include the Köln Cathedral. 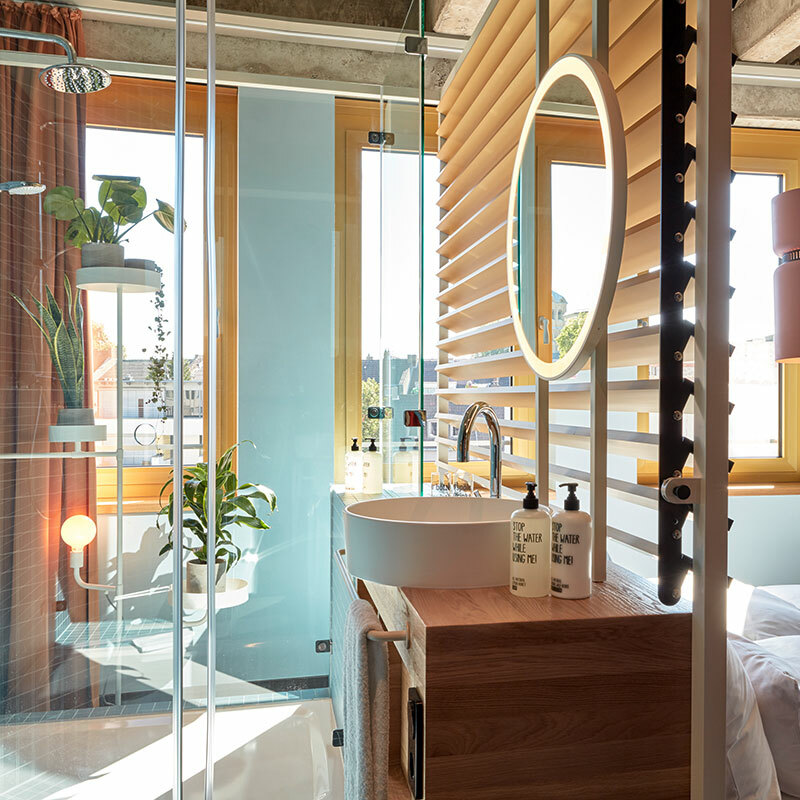 And 25hours never forgets that, for most visitors, quite a lot of life takes place outside the hotel — they’ll lend you a Schindelhauer bike, set you up with a Mini test drive, or, via the Jogging Corner, show you the best running routes for exploring central Cologne.